According to TripAdvisor, most of top 10 beaches in Japan are from Okinawa, and of course some of them are from Miyako Island. Let me introduce some beautiful beaches in Miyako Island. First, Painagama Beach which is located close to the city center of Miyako Island. It is only about 1km from the city center, so you can easily walk to the beach if you stay in the city center. You will see local people as well as tourists relaxing on the beach especially at dusk. 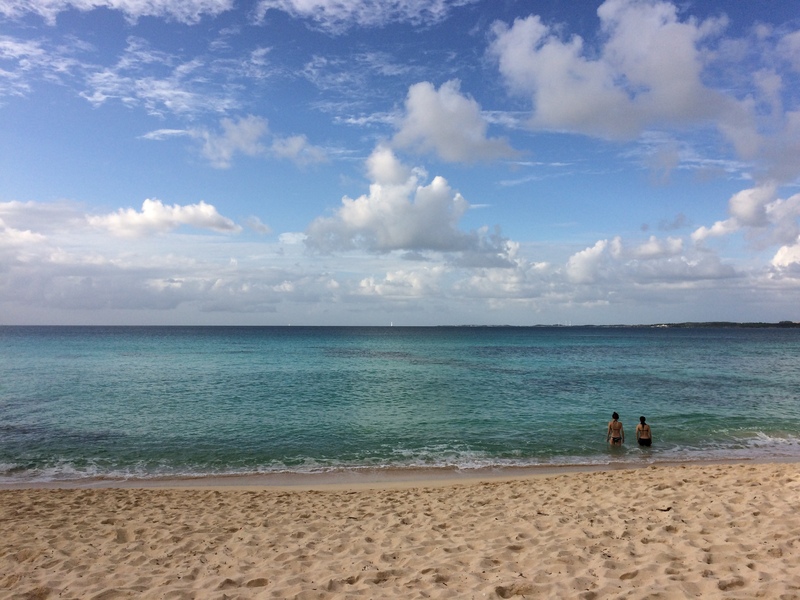 The beach is calm, beautiful and quiet although it is very close to the most crowded area of Miyako Island. The water at Painagama Beach looks clear enough for a person from a big city like me; however, I heard that local people say that the water at the beach is too dirty to swim. Anyway, it is the first beach you should visit if you stay in the city center of Miyako Island. It may not be an ideal place for swimming, but it is the best place if you are looking for a place to relax and enjoy the blue sea of Miyako and beautiful sky at sunset near the city center. The next beach to visit in Miyako Island is Sunayama Beach. It is located about 4.5km from the city center. There are many sugar cane fields and you can enjoy the rustic scenery of Miyako Island on the way to Sunayama Beach. The beach itself is small; however, a white powder-fine sand mound (“Sunayama” means “sand mound”) at the back of the beach and a natural rock arch on the beach create a unique scenery and make Sunayama Beach one of the best sightseeing spots in Miyako Island. You can swim at Sunayama Beach, but there is no lifeguard on the beach and sometimes people attacked by a shark make the news, so be careful when you swim at the beach!